The Mentors of the The Climate Reality Leadership Corps 31st International Training, held on March 14-16, 2016 at Sofitel, Philippine Plaza. (From The Climate Reality Project website: Some people wait for the future. Leaders create it. Ordinary people face challenges. Climate Reality Leaders embrace them. 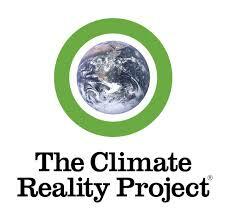 The Climate Reality Leadership Corps is a global network of activists committed to taking on the climate crisis and solving what is far and away the greatest challenge of our time. Tags: activists, Acts of Leadership, challenge, change, climate change, climate hope, creative, initiatives, international, Ken Berlin, leaders, mentor, petition, proof of concept, rapid prototyping, solutions, The Climate Reality Leadership Corps | Permalink. In honor of the graduation of 1,000 new climate leaders this week, I again watched the Academy Award winning documentary, An Inconvenient Truth (AIT). Tags: Al Gore, An Inconvenient Truth, be the change, blessing, climate caravan, climate change, climate crisis, climate leaders, Earth Day, empowering, engage, fatigue, hopeful, inconvenient path, information, inspired, Jakarta, movie, opportunity, shift, sickness, The Climate Reality Leadership Corps, The Climate Reality Project, uplifting | Permalink.